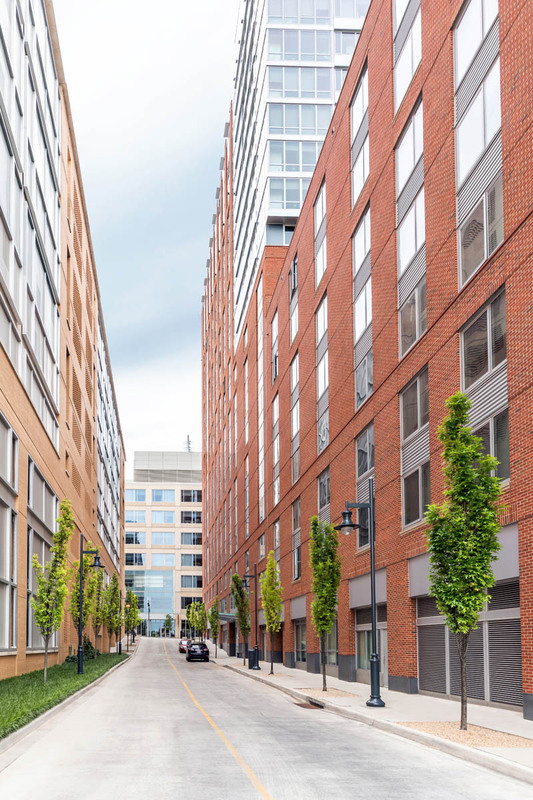 The New East Baltimore Community is an 88 acre life science and residential campus located immediately north of the Johns Hopkins Medical Campus. Supported by public and private partners, it includes a mix of housing, retail and recreation, and a 5.5 acre park. Core Studio Design has designed three projects for the neighborhood. 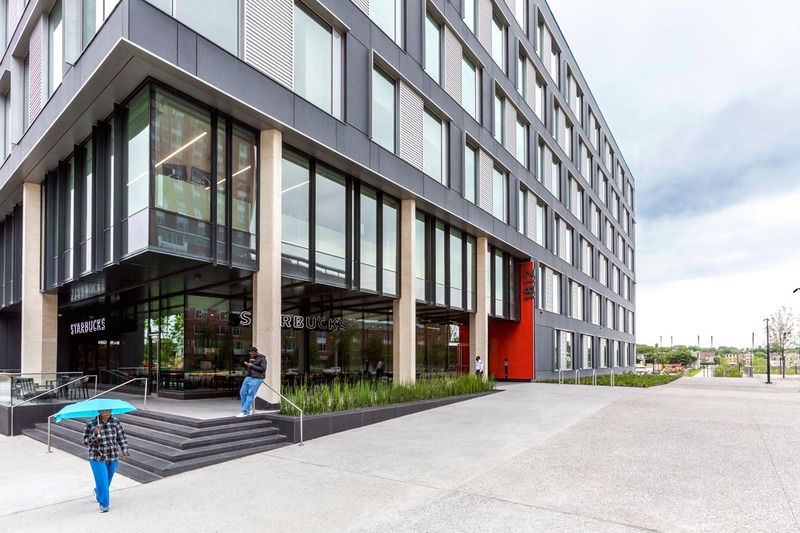 The three Core Studio Design projects include the Maryland Public Health Lab, 1812 Ashland Avenue and the Ashland Garage. All are located along Ashland Avenue, designated a Primary Commercial Street in the New East Baltimore Community Master Plan. The landscape design for the projects is a reflection of the master plan as well as an expression of the particular opportunities of each site. 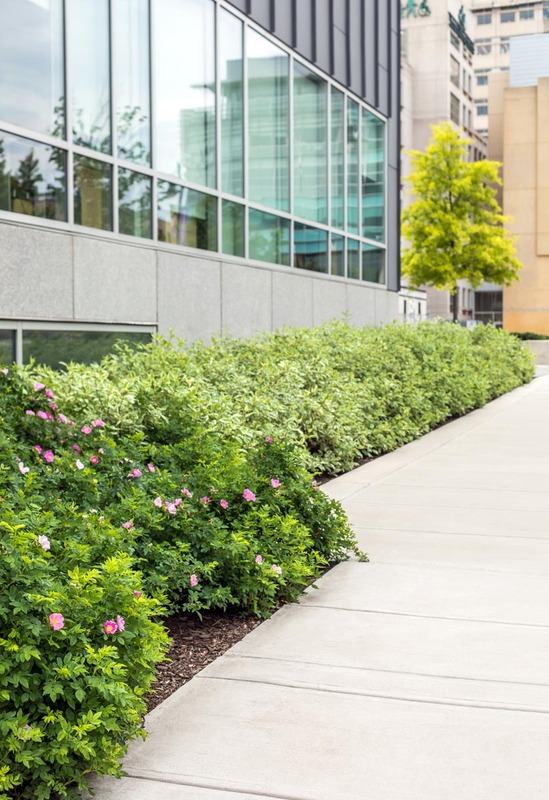 Commercial property owners fund and manage a community services program that provides enhanced security, public area maintenance, park maintenance and programming, snow removal and public area beautification to benefit the entire community. The base of the site design is established by the Master Plan’s Streetscape Design Guidelines. Streetscape types in the guidelines define the dimensions and materials of the vehicular and pedestrian zones. 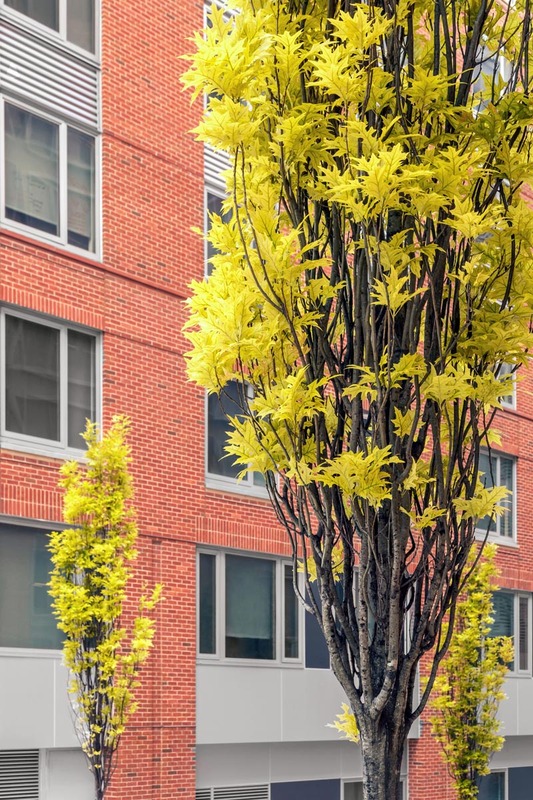 Plant materials also reflect the design standards and the desire for a low maintenance landscape. 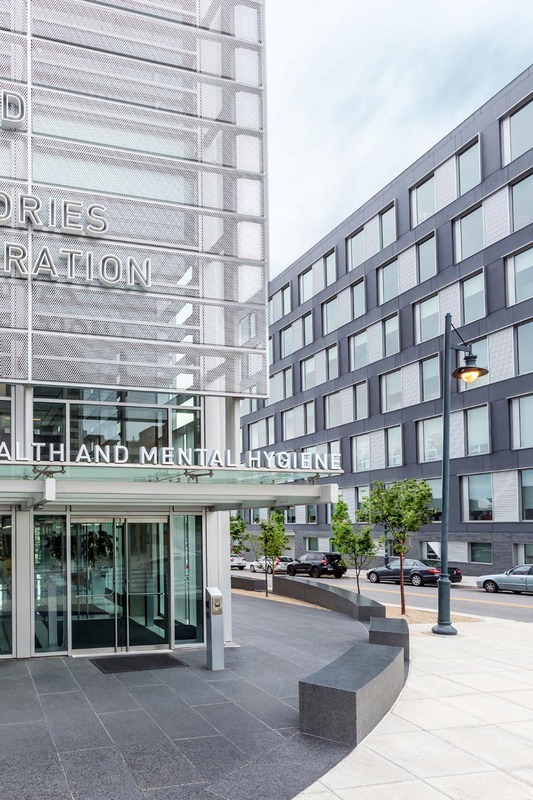 The new State of Maryland Public Health Laboratory is a 6 story building, designed to meet LEED Silver. 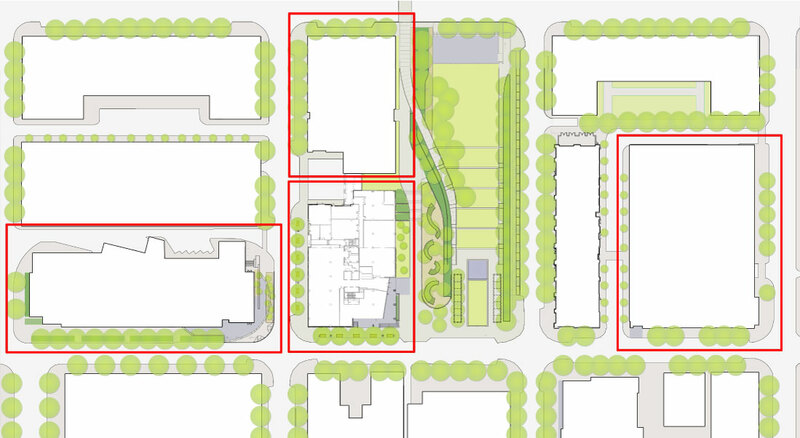 The parallel parking at the east and south edges of the block has been eliminated providing room for a larger exterior public space. 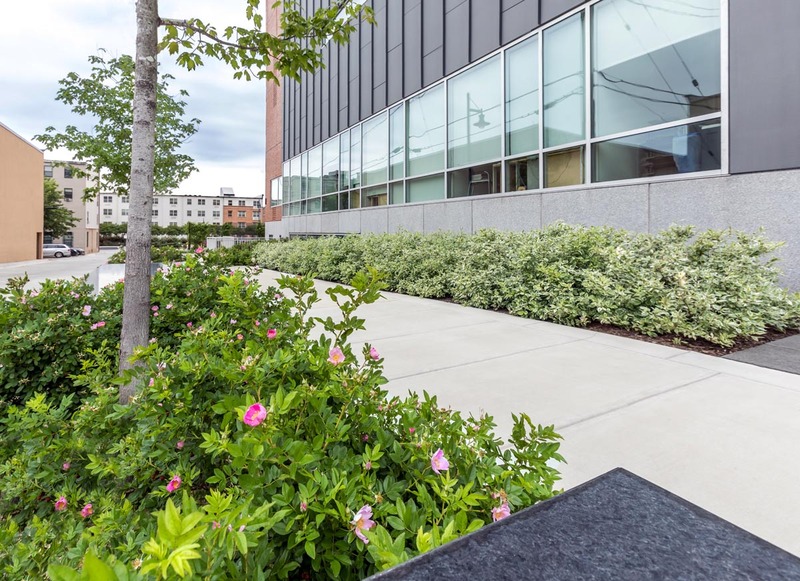 The landscape creates distinct spaces outside of the building which reflect the varying public and private relationships within the building. 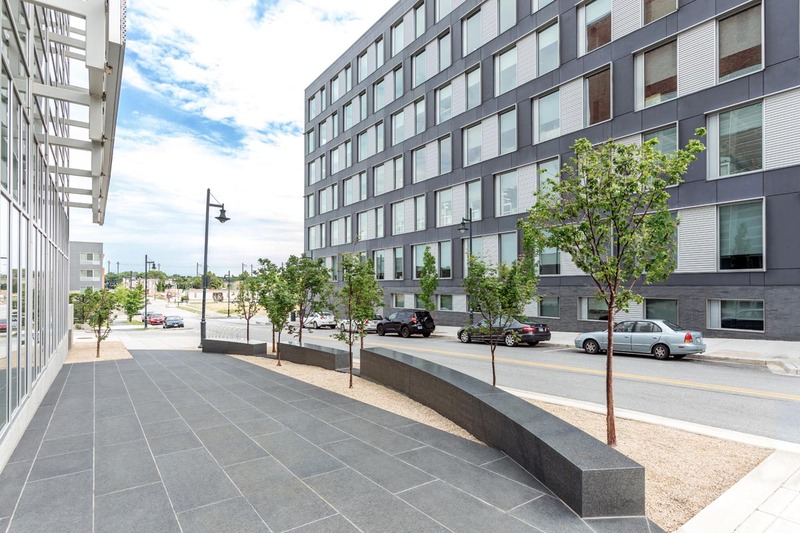 The south, more public face of the building, is reflected in the landscape design with a ground plane and 3 dimensional site elements that move from the interior of the building into the landscape. 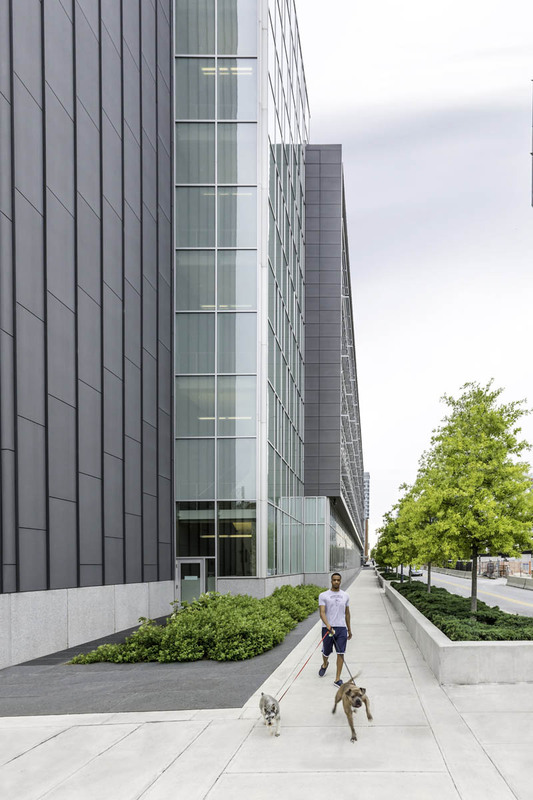 This occurs along the length of the south face adjacent to the glass façade, at the training room oval which sweeps onto the site, and at the entry and along the east facade where the site walls slide through the landscape echoing the arc from the building interior. The Roof Plaza is at the southeast corner of the top level of the building and provides outdoor space for the building users. 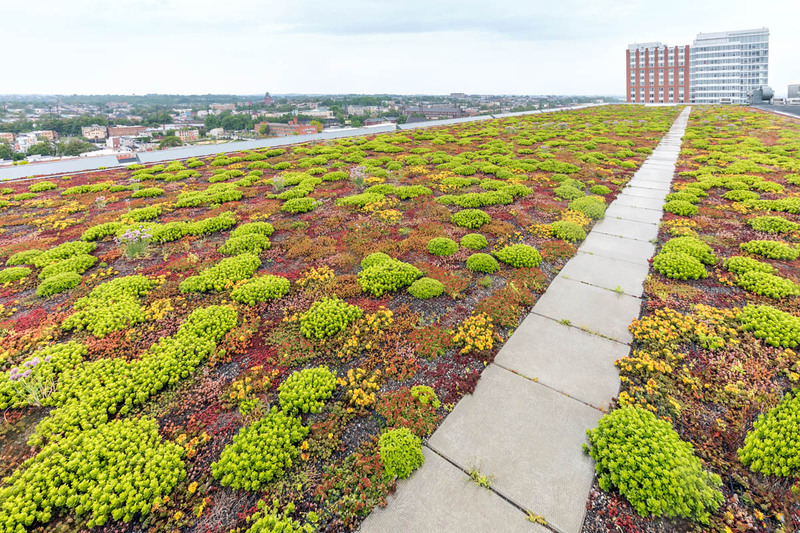 The building has two extensive Green Roofs, both of which are planted with drought tolerant species and are not irrigated. 1812 Ashland Avenue is a 7 story laboratory and office innovation hub for life science companies. 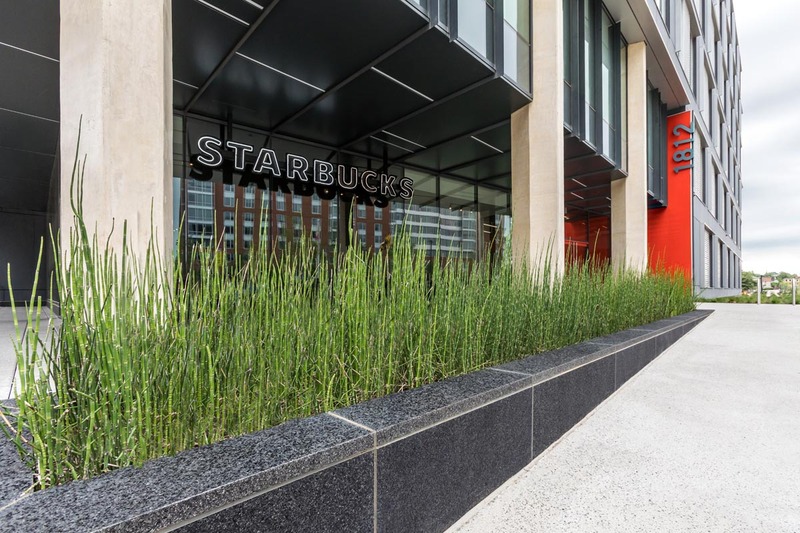 Retail is located on the street level, featuring a prototype Starbucks Opportunities Café, focused on employment training. It is located between the Maryland Public Health Lab and the new 5.5 acre Eager Park. The streetscape grounds the building between these adjacent sites. 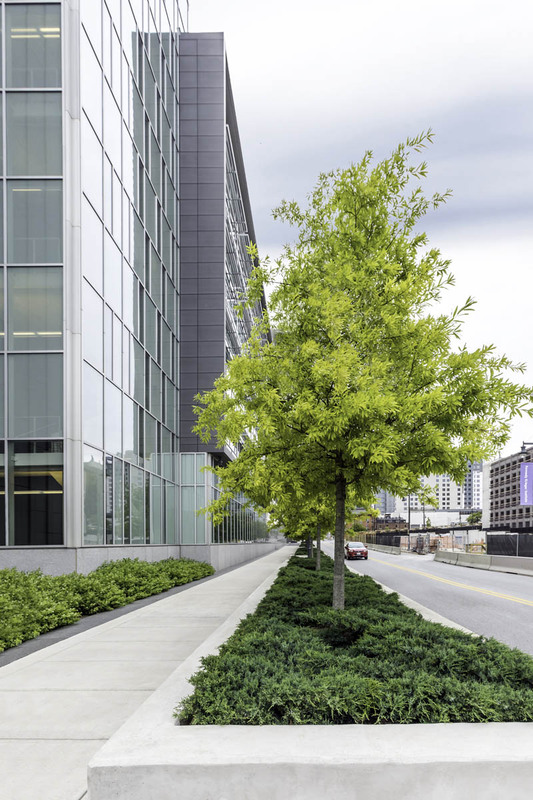 Street trees wrap the south and west edges, with granite stairs turning the southeast corner up to the building entry. The east side opens to the adjacent park. The project is designed to meet LEED Silver. Ashland Garage is a 10 story parking structure for 1,400 cars and bikes. 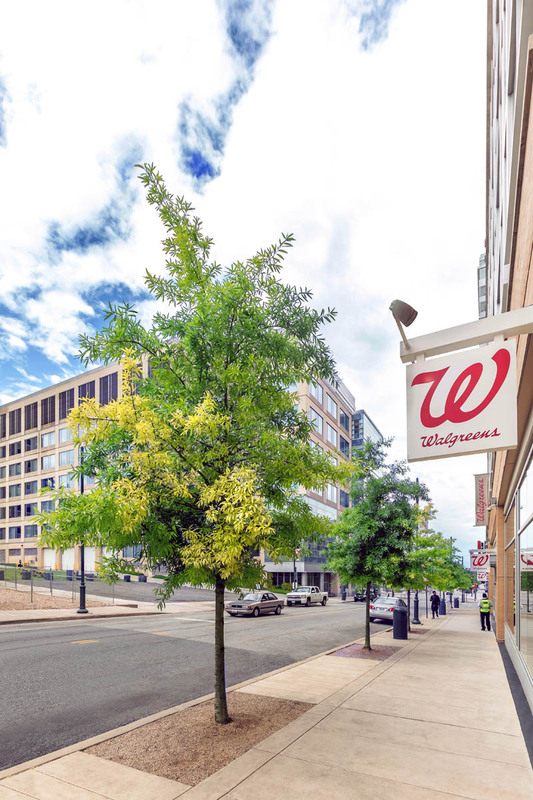 The lower level houses a Walgreens along Ashland Avenue. 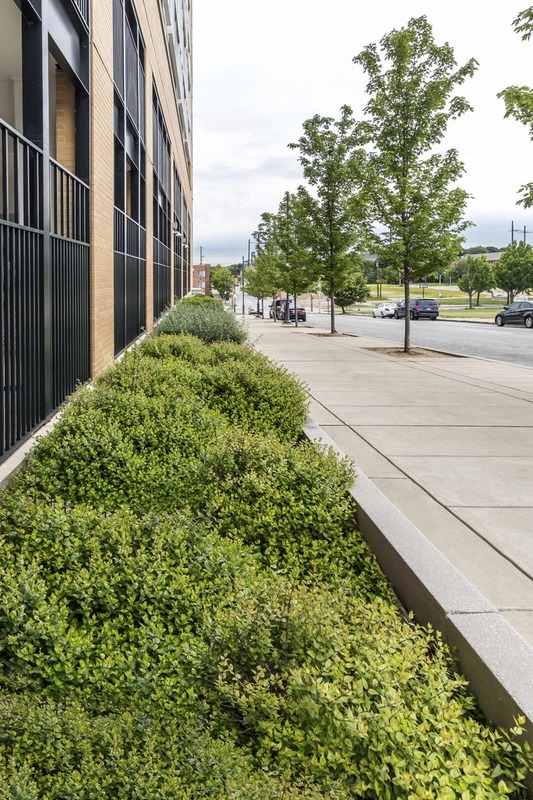 The landscape features a flowering shrub border and red maples to the east, climbing hydrangea on the south and west walls, and willow oaks along Ashland Avenue. This work was performed in conjunction with HDR, Perkins + Will with McKissack & McKissack, and DiMella Shaffer with Sultan Campbell Britt.